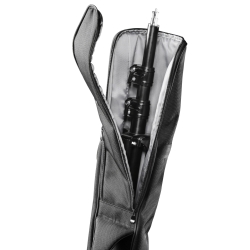 In the elegant lamp tripod bag by mantona, your lamp tripod is safely stored in. The material is sturdy and abrasion-proof. The inner padding and the reinforced bottom protect the tripod against impacts and dirt. An extra compartment allows you to store small items separately. 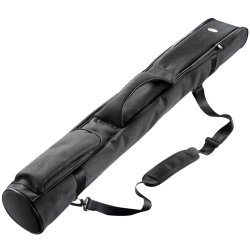 The padded grip makes a high comfort of transport possible. A strap for carrying the lamp tripod on your shoulder is also included. The lamp tripod bag fits the walimex WT-806 lamp tripod perfectly, but it can also be used for many other lamp tripods with a transport length of up to 99cm.